MONDAY, Dec. 28, 2015 (HealthDay News) -- Even as overdoses from narcotic prescription painkiller reach record levels in the United States, a new report finds that most people who survive such events continue to be prescribed the drugs by their doctors. The new study found that this happened in more than 90 percent of cases, and patients who continued on drugs like OxyContin, Vicodin and Percocet after an overdose had twice the odds of overdosing again within the next two years. "Seventy percent of patients who overdosed were getting their drugs from the same doctor who prescribed the narcotic before the overdose," noted lead researcher Dr. Marc Larochelle, an assistant professor of medicine at Boston University School of Medicine. In many cases, doctors who continued to prescribe the narcotics didn't even know that their patients had suffered an overdose. "This signals a problem with the health system, but I don't think it necessarily fingers doctors as being bad doctors," he said. The problem, he said, is that emergency department records rarely find their way to a patient's doctor. That's because the record of an overdose is not automatically sent to the doctor who prescribed the drug, Larochelle said. And patients, especially those addicted to these drugs, often don't tell their doctor about winding up in the ER after an overdose. For the study, Larochelle and colleagues used a large insurance claims database to collect information on nearly 3,000 people who overdosed on narcotic painkillers over 12 years. The report was published Dec. 28 in the Annals of Internal Medicine. So what's the solution? Larochelle believes that prescribing physicians first need to curb how often they write these prescriptions. "There is a direct correlation that the more narcotics you put in the population, the more overdoses you are going to have," he said. 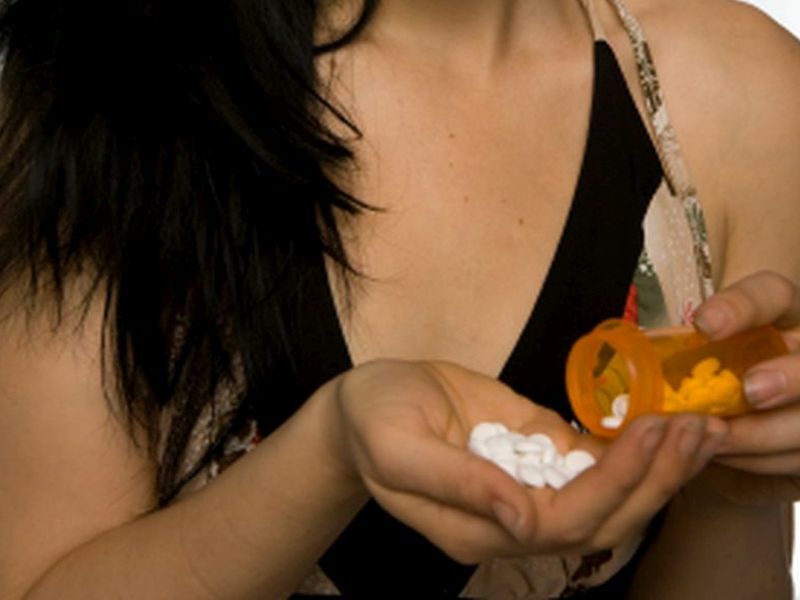 According to the U.S. Centers for Disease Control and Prevention, drug overdoses are at epidemic levels, as are the rates of related overdose deaths. A CDC report released earlier this month found that drug overdose deaths reached record highs in 2014, fueled largely by the abuse of narcotic painkillers and heroin -- a drug addicts often turn to when their prescriptions are cut off. In 2014, more than 47,000 Americans died from drug overdoses -- a 14 percent increase over 2013. Since 2000, nearly half a million people have died from overdoses, the CDC said. Oxycodone, which includes the brand-name drug OxyContin, and hydrocodone, which is in the brand-name drug Vicodin, continue to be among the most commonly prescribed narcotic painkillers, and are responsible for more overdose deaths than any other narcotic, the researchers found. Now, "doctors are trying to find a balance in prescribing narcotic painkillers between the risk and potential benefits," Larochelle said. Do patients need to be on these high-strength painkillers over the long term? Larochelle say it's doubtful. He said that while the drugs are effective in controlling pain after surgery and managing pain for cancer patients, they have not been proven effective at controlling chronic, non-cancer pain such as back pain. In addition, Larochelle said no tool exists that can predict which patients will become addicted to these drugs. "Ideally, we would be able to identify those patients," he said. He also believes that better communication between ERs and doctors who prescribed these drugs is key. For example, insurance companies might be able to provide information on overdoses to doctors, which could help them spot patients who are having problems with the drugs, Larochelle said. Dr. Scott Krakower is assistant unit chief of psychiatry at Zucker Hillside Hospital in Glen Oaks, N.Y. He said that "narcotic painkillers can be highly addictive and patients may seek them out despite overdose, thus ignoring risks with these agents." But he said the medical community is increasingly opting for tighter controls of these agents. For example, in states with a prescription monitoring program, doctors can check the database to see if their patients have had an overdose or are getting prescriptions from several doctors, Krakower said. Doctors should also avoid prescribing large quantities of narcotics and should understand the risks involved with dispensing multiple drugs, such as narcotics and benzodiazepines. Benzodiazepines, such as Valium, Xanax and Klonopin, are used for treating anxiety, panic attacks, depression and insomnia. They don't mix well with narcotic painkillers and can cause breathing difficulties that can be fatal. Krakower said doctors need to communicate better with patients who have overdosed to prevent them from getting in trouble again. "In the future doctors should aim to ensure that they facilitate adequate handoffs between each other, especially from the emergency room or inpatient settings to outpatient providers," he said.